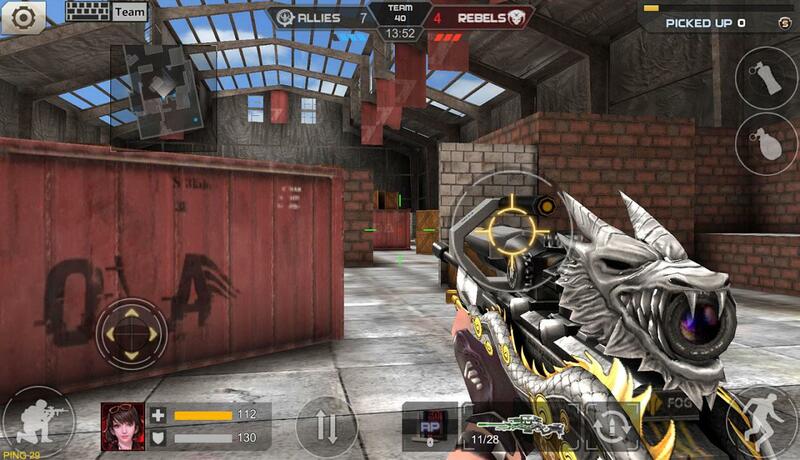 Crisis Action is a mobile first person shooter from HERO Game provides that almost identical experience of competitive military shooter from the PC. 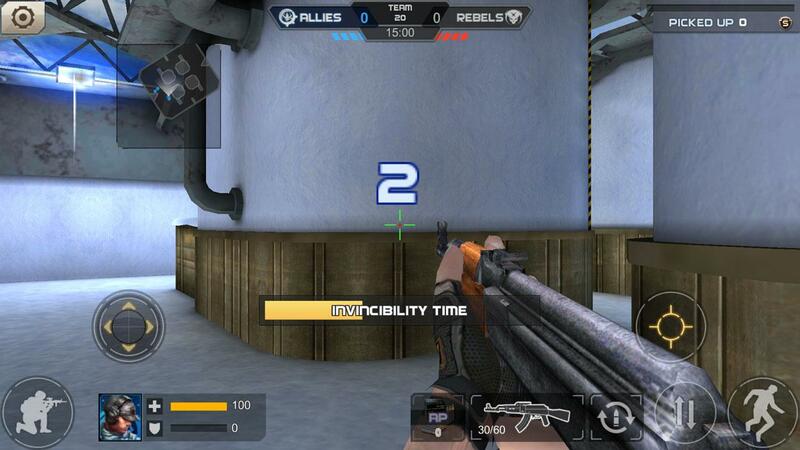 It features a series of PvP modes from normal deathmatches up to competitive rank battles. There is also a solo mission campaign matches that you can also invite other players for cooperative gaming. 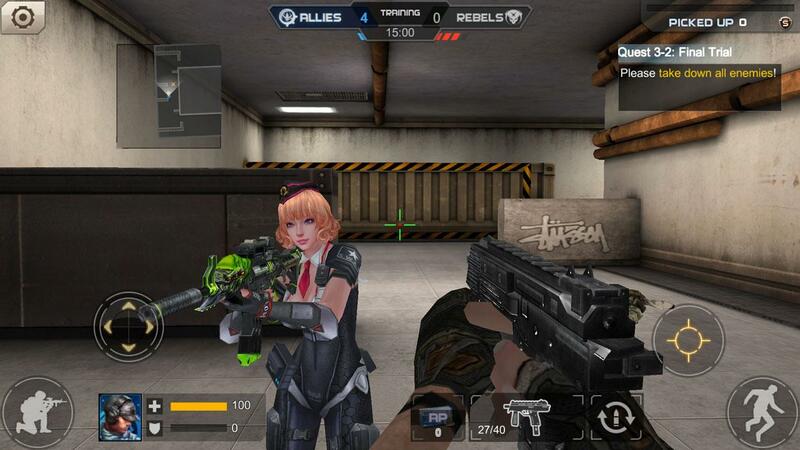 It also features character customization through equipment gear and weapon enhancements. 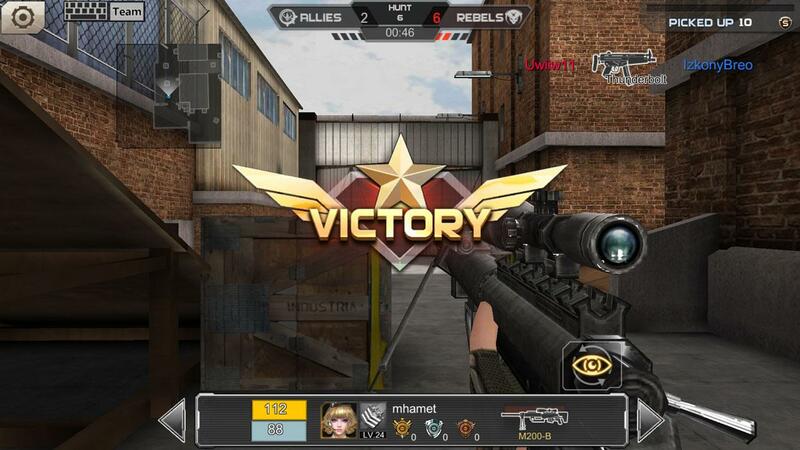 Crisis Action is just like any other first person shooter games in the mobile market; you control your character and you must eliminate your enemies in the field before they kill you. 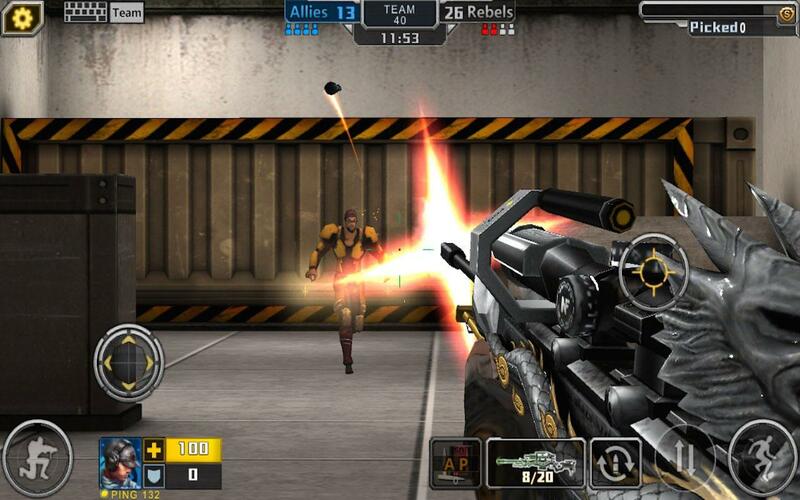 The controls are the same with other ordinary shooters, you move your character with your left thumb and aiming on your right thumb. The other actions such as switching weapons, crouching and reloading are accessible in their individual buttons. Controlling your character may be tricky as precision is one of the common issues in virtual gamepads as compared when using real physical game controllers, good thing Crisis Action has some options to customize the control layout, like fixing the location of the fire button or adjusting the placement of the action buttons. 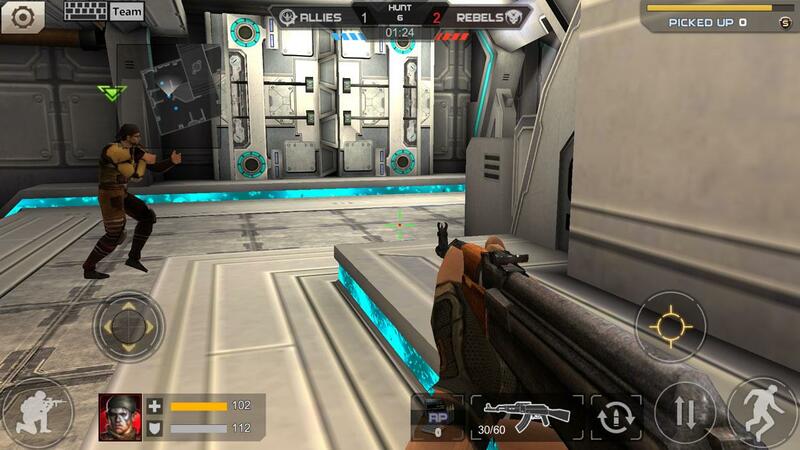 Crisis Action features a hefty amount of game modes that will keep FPS enthusiasts and mobile gamers entertained for several more hours. 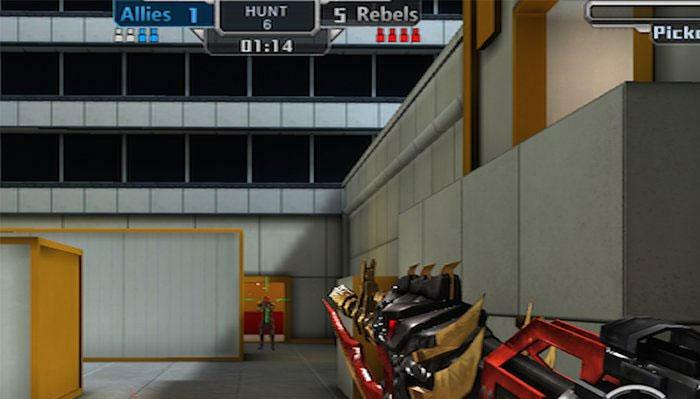 There is the standard deathmatch where you must eliminated the rest of the players to win, or in team deathmatch, you and your team compete against other teams in a classic elimination battle; the team must eliminate the opposing side every round and the team with the most points wins. There are also some different games modes including the classic bomb mode where you must diffuse the bomb to win or detonate the bomb if you are the opposing side. There are also some unique game modes that are somewhat refreshing to see in the FPS genre, some of them include a dark mode where you cannot see your opponents and the only way to light up the surroundings is by shooting, however that would also expose yourself from other enemies into tracking you. Then there is one mode that forces you to hide from enemies otherwise you will be eliminated. Some other game modes include competing with just a melee weapon or just a hand pistol. The solo player game mode lets you complete missions against AI opponents, you can complete it by yourself or with other players as you survive waves of incoming hordes of monsters. There are two different modes where if you get killed by the monster, you will be infected and become one where you can attack your team mates, it adds a whole new of game experience that lets you become an enemy. The rank match provides some rewards to players who wants to take the battles to the next level. For every match that they participate, they will earn points whether they win or lose, or sometimes they could lose some when losing consecutive matches. And the end of the season, players can earn rewards based on their performance. 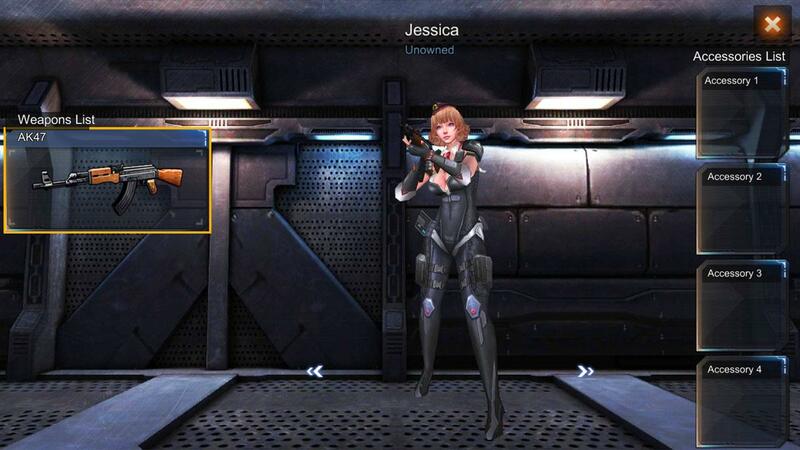 Customization is also available in Crisis Action, you can purchase weapons with time duration with your in-game currency or with real money. These weapons may vary from pistols to assault rifles, sniper rifles and even machine guns, and they can be enhanced for increased performance. The gear can be purchased as well and it can provide improved armor or increased movement speed. 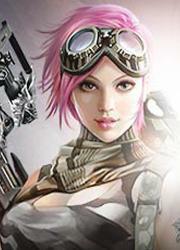 There are also costumes that can be purchased, these provide new cosmetic appearances for more variety on your looks. 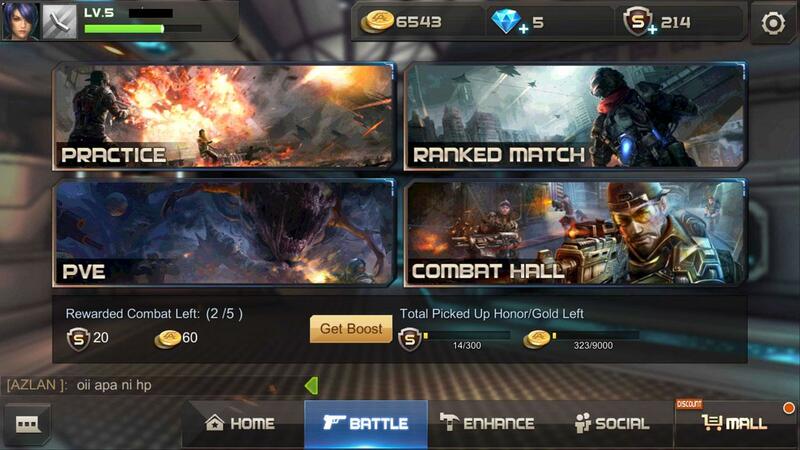 You can also earn items and in-game money by completing daily mission objectives, these may vary from killing a number of enemies per day or win 5 or 10 matches. Or just log in to the game for a consecutive number of days and you can earn weapons or money to purchase more items. The community in Crisis Action is very active. You won’t have to wait longer queues just to join a match, as there are thousands of players playing regardless of what timezone you hop in. You can even chat with other players just like in typical MMO games, even on mid-game. You can form groups and gain benefits when your group increases level, or participate in pvp matches and challenge other rival groups. The game has great visuals and still provides good framerate for a mobile game, and framerates are very important for an FPS game. It has good glowing effects on the weapons and detailed decals when in close up. But the level designs may need some improvements as most of them feel bland and lack of impact that would make it stand out. There are voice overs in the game, but more on match announcements and alerts. Background music is okay as it feature rock music tracks but they are seemed to be forgettable as the music are not that interesting to listen. Crisis Action is an engaging first person shooter where it has a large community that is still active up to this day. It also features a wide range of game modes to keep you entertained for hours. Though the game may feel like a premium cash wall where you may be forced to spend in order to enjoy more of the game, but when playing casually, you can still enjoy the game without actually spending. by Richard Nov 7, 2016 It is time to prove to everyone who is the best. With Crisis Action, you can collect a wide range of weapons as your arsenal and pit off against the best players around the world. It is now easier to play thanks to the easy to learn controls in a mobile game setup. If you are ready, then gear up for Crisis Action. Read More Be the First to Post a Review!